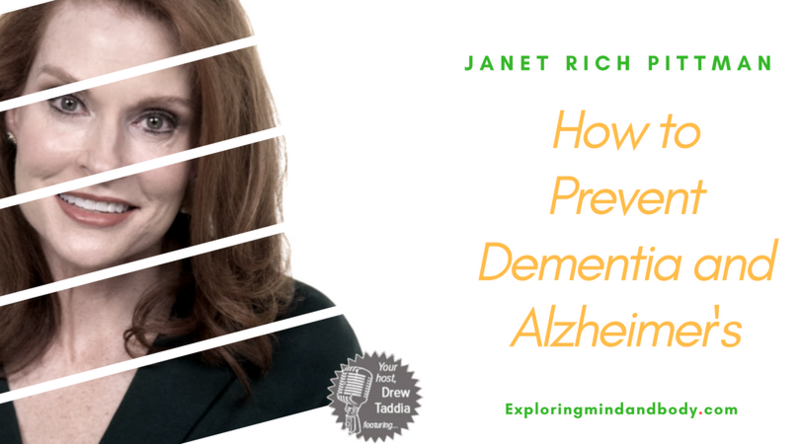 Helping you power up your brain to keep your memory and age successfully is the mission of Janet Rich Pittman, a former dementia healthcare administrator and dementia practitioner. After years of brain research Janet now serves as a Brain Health Specialist where she transforms audiences, showing them how to take the fear out of losing their mind and replace it with empowerment and an honest to goodness plan for building a better brain. Alzheimer’s/Dementia no more! More details on Janet HERE. Thanks so much Janet! I enjoyed your conversation too!! !